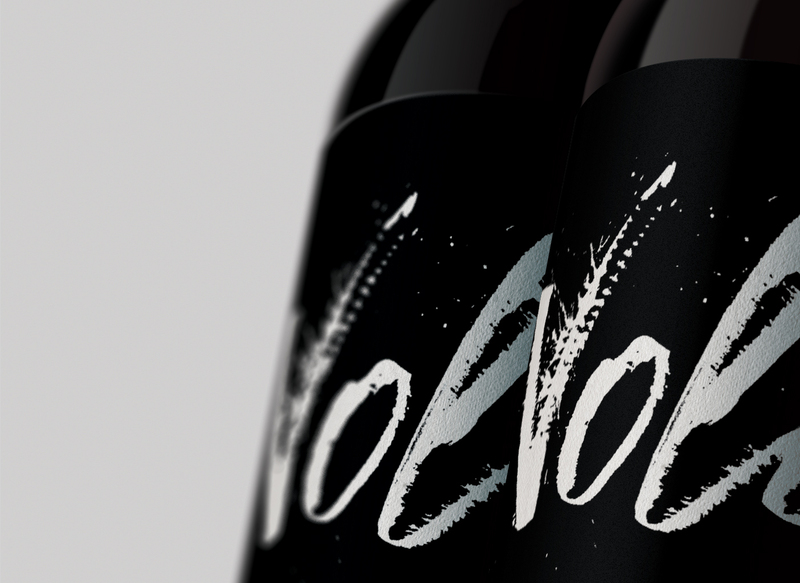 This project is built on the basis of the lettering. In this case a tool of the calamus was used. 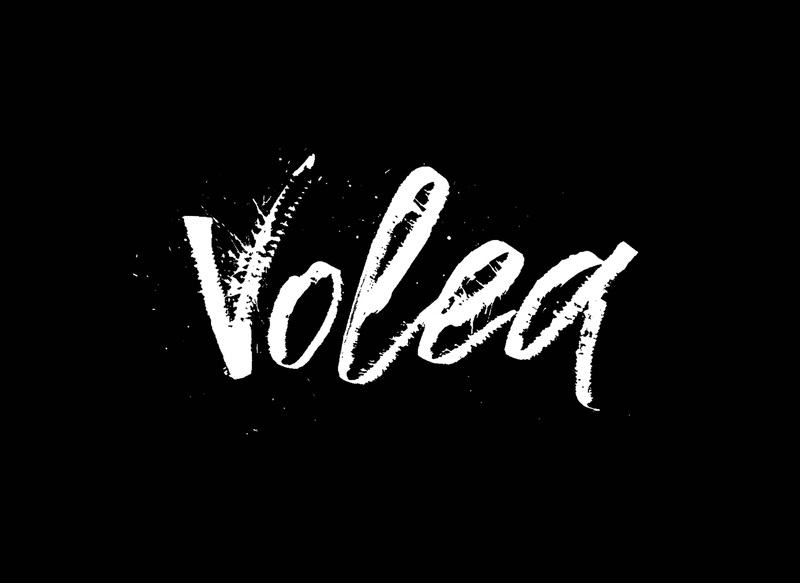 Volea in the translation from Spanish - volley. This wine can not lie for long. It should be drunk as soon as possible, in one gulp. 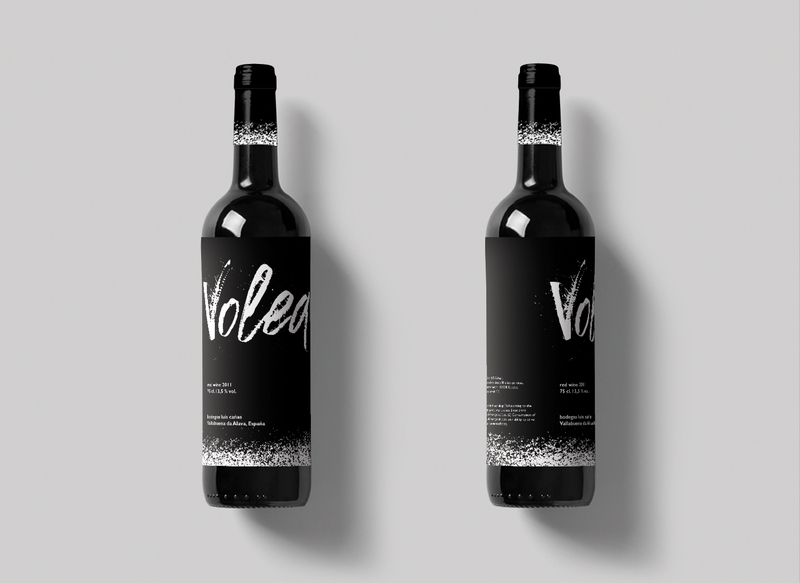 Therefore, there is a small gradient on the label, which seems to raise the black color to the neck of the bottle. 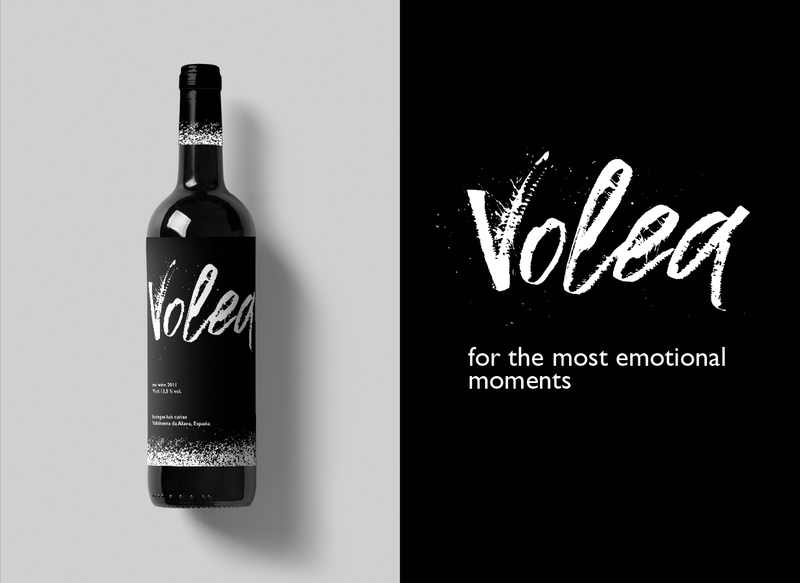 This wine is for emotional moments. Everything is built on expression, on the possibility of releasing steam.